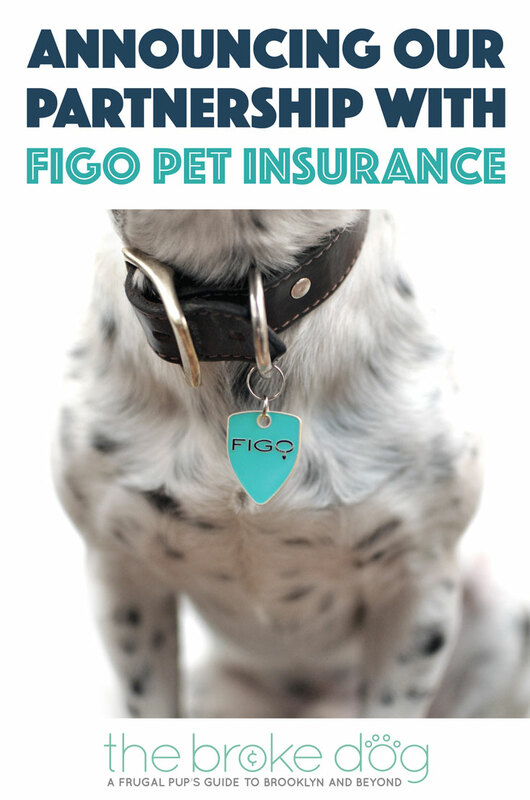 Figo Pet Insurance: Our Partnership + Exclusive DISCOUNT! Disclaimer: We earn a small affiliate commission each time someone signs up for Figo Pet Insurance using our link. All this means is that we’ll have more money for Henry’s vet bills! We use and recommend Figo and would never promote something we didn’t love. Hello, my wonderful readers! I’m here today with a special announcement: The Broke Dog is now partnering with Figo Pet Insurance to bring you a special deal on pet insurance! Keep reading to learn more about what Figo can do for you and our Figo Pet Insurance discount. What is pet insurance? Specifics vary depending on the provider, but the general gist is that you will be reimbursed a designated amount for you pet’s veterinary care after a deductible. As a general rule, pet insurance companies do not cover pre existing conditions or preventative care, but can be real wallet-savers if emergency or illness strikes. Knowing that I’ll have most expenses reimbursed if, say, Henry gets cancer reduces any anxiety and makes paying the monthly premiums worth it. Curious? Read my top nine reasons for investing in Figo Pet Insurance! Henry reppin’ Figo with his Figo tag. So, what DOES pet insurance cover? This varies depending on the provider and plan, but a major reason I recently switched to Figo is that vet visit fees are covered! With my last plan, I would have to weigh the severity of Henry’s illness against the $60 vet visit fee, even though I knew his care would be covered. With Figo, any vet visit fee related to sickness or injury counts towards my deductible and is covered after I reach it. This link (PDF alert) compares Figo’s coverage to other major pet insurance companies. Lastly, pet insurance is relatively affordable! Henry’s plan costs about $35 a month – we aren’t talking pennies here (and it’s one of my larger expenses each month outside of rent and utilities) but the peace of mind is worth it to me. Budgeting an extra $35 a month is much easier and less stressful than being hit with a massive vet bill all at once. Why can’t human health insurance be this easy? Bonus: Pet Cloud! Figo customers can take advantage of their Pet Cloud dashboard to keep track of vet records, claims, and vaccine reminders as well as search for nearby dog parks, pet stores, and more. 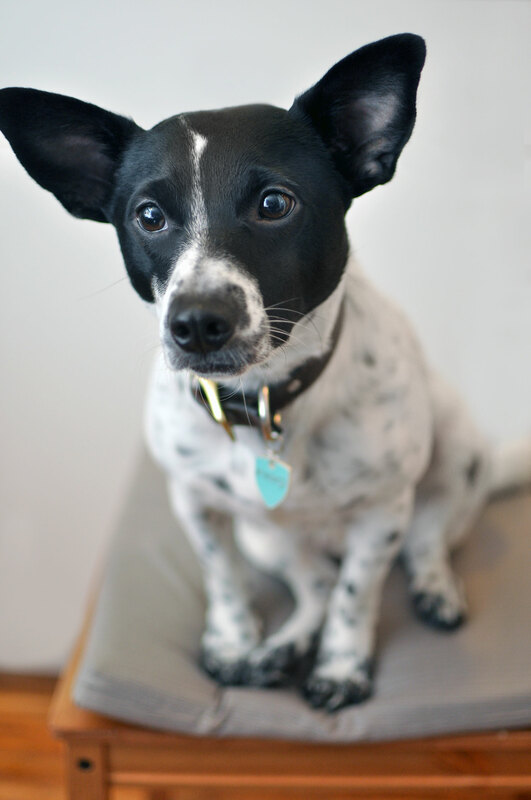 If your pet goes missing, anyone who finds him or her can look up your information using the number on your Figo Tag. Did someone say DISCOUNT?! You can receive 5% if you sign up via our link! You MUST click our link to get the discount. Buying pet insurance can be a confusing and expensive task, and I hope I can help make it a little easier! I reached out to Figo so that I could offer my chosen pet insurance to you at a discounted price. Yes, the disclaimer above states that we receive a small fee for referring you to Figo, but I reached out to them first and foremost so I could offer my chosen pet insurance to my readers at a discount. This blog is all about helping you save money, after all! Please let me know if you have any questions about my experience with Figo or pet insurance in general! Click here to get started with Figo! Woo! Do you have pet insurance? Are you thinking about buying it? Do you think you’ll use the Figo Pet Insurance discount? Let me know in the comments!